Vasant Panchami is a Hindu festival celebrated on the Panchmi (fifth day) of Shukla Paksha during the month of Magha. 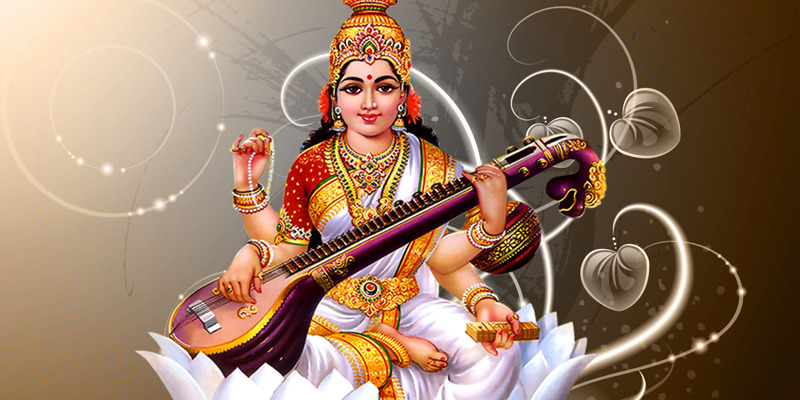 The goddess of wisdom and knowledge, Goddess Saraswati is worshipped on this day. Therefore, the day is also celebrated as “Shri Panchami”. This festival is celebrated with joy and fervour in India, Bangladesh, Nepal and various other nations. The festival of Vasant Panchami welcomes the season of Spring. Numerous festivals observed in India are related to new harvest, crops and agriculture. Out of these, Vasant Panchami is regarded as the most important one. It is celebrated during the time when spring arrives, and the environment gets covered in a golden aura as mustard crops are ready to be harvested. Others such as barley, wheat, mango trees, etc. also bloom during the festival of Vasant Panchami. The yellow colour is one of the significant colours worn on Basant Panchami. In Hinduism, this colour represents Vaishnavas and knowledge. It also represents Sattva Guna. Out of the Panchtatva or Five Elements, yellow colour represents the horizon (a place where the earth and sky seem to meet), also known as Kshitij in Hindi. It is believed that the balanced combination of the five elements (Panchtatva) completes a person. The usage of yellow colour makes a person knowledgeable and wise. According to the modern Vastu Shastra, yellow colour helps to get rid of various problems like cough, cold, liver problems, indigestion, jaundice, nervous system, issues related to the gastrointestinal tract, swelling, etc. Using yellow coloured objects or wearing yellow coloured clothes, if done correctly with expert advice, helps a person to keep him/herself in a fine fettle. According to Vedic Astrology, the yellow colour is related to the planet Jupiter. 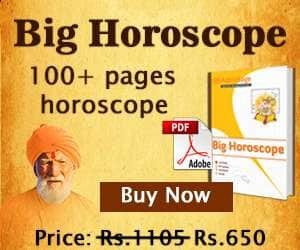 As per Lakshan Jyotish, lack of mental peace, arguments, chaotic environment, lack of respect and dignity, unnecessary expenses, etc. are indications of a malefic Jupiter. The festival of Vasant Panchami is a great opportunity to strengthen Jupiter in one’s horoscope. If the concerned person venerates Lord Vishnu and Goddess Saraswati with unwavering devotion, s/he will reap benefits out of it. Install the idols of Lord Vishnu and Goddess Saraswati on a yellow altar. Offer jasmine or marigold flowers. Apply a Tika of sandalwood and burn an incense stick. Light a clay lamp by mixing jasmine oil in pure ghee. Offering yellow rice helps to strengthen the position of Jupiter and Moon in a person’s horoscope. Distribute the Prasad among people. The more you distribute, the better it is for you. The sweet fragrance of night jasmine helps to create a balance between the environment and the Pancha Tattva (five elements). When the clay lamp is lit with the essence of night jasmine, it soothes the atmosphere. Also, the pure ghee present in the mixture helps to strengthen Venus in one’s horoscope. It also helps one to develop physically and mentally. The financial conditions improve, and relationship bonds get stronger. The smell of sandalwood helps to get rid of negative energies present in the environment and also increases the concentration power. Donating papayas and bananas on Vasant Panchami yields positive results. You should not forget to take the blessings of your teachers, mentors, etc. on this day. Also, donating yellow coloured clothes to them will prove to be favourable for you. Plant a yellow flower sapling in the North or Northeast direction of your house. The day holds immense importance for the students who have a hard time concentrating on their studies. They should install an idol of Goddess Saraswati in the Northeast direction of their study room. Light a clay lamp and offer yellow coloured flowers. Write and place the mantra “Om Aim Saraswatyai Namaha” either 11 or 21 times on a yellow paper in front of the idol. Make sure to write the mantra with red ink. With its sandalwood, apply a Tika (Tilak) on the idol of Goddess Saraswati and later your forehead. With the blessings of Goddess Saraswati, you’ll do best in your educational field and achieve success.